Chip believes audiences are craving engagement, not another speech. For 5½ years as world-renowned business leader Tony Robbins’s international point man, he spoke over 1300 times throughout the US, UK and Australia. This immersive experience sharpened his skills and created a unique style. It is high-energy, humorous, and persuasive and gets results. Chip promises to be THE energy source at your event. He is a proven pro with 1000+ successful events for clients like Genentech, Ford, Hyatt, AXA, Harley Davidson, Proctor & Gamble, Exxon, State Farm, Dun & Bradstreet, RE/MAX and over 100 diverse associations. He will do his homework on your organization and industry, conduct phone interviews, and customize his message to help ensure his message sticks! He will work hard to make you look like a genius as the decision maker who hired him. Chip is one of only 7% of the members of the National Speakers Association to earn the prestigious Certified Speaking Professional designation. He has created numerous audio, video and printed products. He newest book is The Smart Guide To Accomplishing Your Goals. 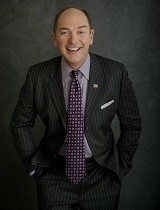 He specializes in high-energy, interactive and customized opening, after meal and closing presentations. Chip is consistently told by the organizations that hire him that most speakers were a “rental” and that he was a true partner in making their event a success! Chip will set the tone for the day at your opening session. The energy, spirit of interaction and engagement will energize the vitality of the entire day. After lunch is a crucial spot to energize and engage the audience for the rest of the day or before your awards ceremony. The last and maybe the most important impression at your event is your closing session. There must be energy and a call to action! Many conventions fizzle out at the end. He is famous for his closing team building activity The Board Break Experience – Breaking Barriers program. Check out the video on this program and you will see why. Chip is passionate about delivering a “sticky and interactive” experience that grabs the attention of the audience immediately and engages them to not just talk about change but to be committed to it. He is a married and the proud father of three. He lives in Knoxville, TN. He is an avid golfer, traveler, reader, dancer and difference maker in the community. The ability to ‘Get Switched On’ and be at your best consistently is essential to compete and excel in todays marketplace. This high-energy, interactive session challenges everyone to acknowledge the difference between good and GREAT. This is an interactive experience, not a speech! Getting switched on is about energy and impact. The goal for the session is to have each person pursue their work and life with renewed tenacity and contagious energy. This is NOT a speech. This is an interactive, high-energy, challenging experience that will get you involved and engaged. Chip is famous for this one-of-a-kind experience. How will you close your next event in a memorable way and send the audience out the door charging? The board break is an intense, emotional and climatic physical metaphor dedicated to breaking through barriers and pushing your team spirit to new and lasting heights. This is the BEST activity to get a large group involved in a compelling physical activity that they will always remember. When people and the team breakthrough their barriers and limiting beliefs, the impossible becomes possible! Watch the video to see for yourself! Often added to other keynotes to create an extraordinary half-day presentation. Chip shows how taking ownership of your results, beliefs and attitude will ignite tremendous performance improvements. “Own It!” taps the hidden potential inside each member of your team. It helps people confront the brutal facts about their current situation and take action on the implications immediately. This program inspires accountability, personal responsibility, growth mindset, and a long-term view of success. Many companies have chosen OWN IT as the theme for their event. Even if you've settled for less in the past, or your company hasn't gotten the results it wants, you've got what it takes to make it happen. Small individual decisions can lead to a greater sense of ownership and big results; bigger changes can lead to innovation and revolutionary change. Let Chip show you and your team how to Own It! The Smart Guide to Accomplishing Your Goals is the perfect resource for readers who want to improve their career prospects, have happier home lives, and be effective and persuasive in interpersonal exchanges. 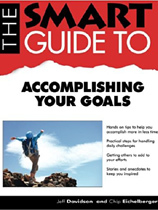 Offering readers a broad look at the process of setting and reaching goals the book explores topics such as what is a goal as a opposed to a wish, the opportune times to set goals, assessing where you are, the secrets of master goals-setters, why your goals must be specific, contracting with yourself, and much more.